Job Well Done! Instructor Joe Musenbrock (Foreman for D.A. 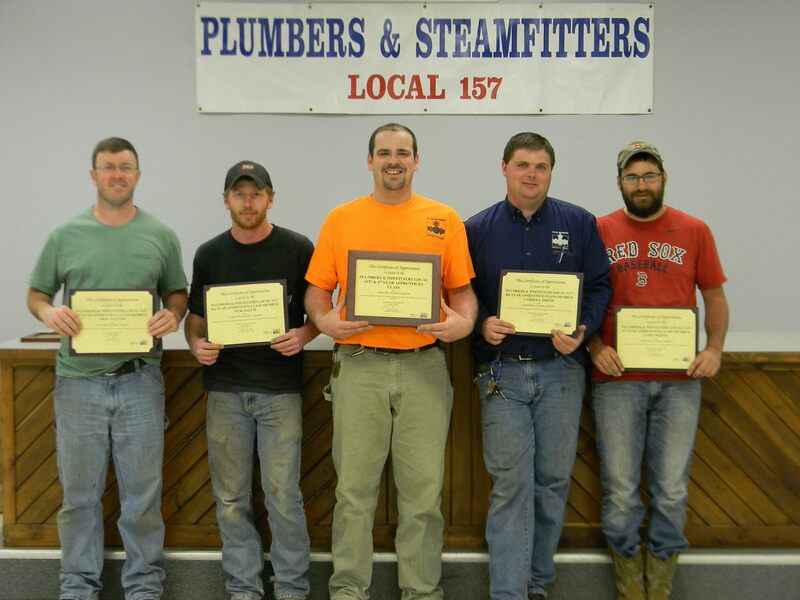 Dodd) along with the fourth year plumbing apprentices donated plumbing services for the United Way of Great Lafayette's 150 year old building. Work consisted of replacing various faucets, drain cleaning, water closet report, and water heater installation. CEO Michael Budd issued each apprentice and instructor a Certificate of Appreciation along with special recognition at the annual Peer Counseling Program dinner. Left to right - Troy Patton, Nick Salem, Instructor Joe Musenbrock, Carroll Smith (D.A. Dodd), Cody Reifel.